Can Virginia Handle Duke’s Monsters in the Middle? Notre Dame had the unenviable task last month of hosting No. 2 Duke and No. 3 Virginia within a span of three days. You don’t get three guesses on how that went for the Irish, who are down on their luck this season. UVA pounded the Irish, 82-55. Duke prevailed, 83-61. Both left an indelible impression on the mind of Notre Dame coach Mike Brey. If anyone has a right to talk about Virginia-Duke, the rematch, coming our way Saturday night at John Paul Jones Arena, it’s Brey. Duke won the first meeting with UVA in Durham, 72-70, when the Blue Devils were without starting point guard Tre Jones, and the Cavaliers were clearly off their mark shooting the 3-pointer, hitting only 3 of 17. The key in the rematch, though, may be whether or not Virginia’s “Pack-Line” defense can keep the Blue Devils out of the lane. Duke scored 46 of its points in the paint in that first meeting. Expect the Cavaliers to “pack” the “Pack-Line” like never before. Still, that may not be enough because of the Devils’ physical style. “I haven’t seen a collection of bodies come through our building like that,” said Notre Dame’s Brey, who wasn’t just referring to games since the Irish joined the ACC, but going all the way back through the ND’s days in the Big East. Brey was talking about Duke’s three-headed freshmen monster of Zion Williams, RJ Barrett and Cam Reddish, projected to be perhaps three of the top five picks in the NBA Draft. Williamson and Barrett combined for 57 of Duke’s 72 points in that first meeting and 21 of their team’s 26 field goals. Reddish had three of the other five. “The game in Durham was a great matchup,” Brey said of the first contest. “It’s two contrasting styles. The problem with [playing] Duke — and Virginia can jam the lane and keep drivers out better than anybody in the country — is that you physically can’t do it sometimes against Duke’s freakish athletes. They’re still getting there with sheer athletic ability and speed. The Irish coach elaborated on the fact that it’s two No. 1 seeds throwing completely different stuff at one another, the grinding, slower pace of Virginia and the reach for your throat style of Duke. “It was very difficult to prepare for, especially with some younger guys that we have,” Brey said. “We were disappointed the way we competed against Virginia. They can take your spirit from you. Virginia is not in that same boat. The Cavaliers have several big, physical players they can throw at Williamson. Jack Salt, Mamadi Diakite, De’Andre Hunter, and possibly Jay Huff for short spurts, may have to double Duke’s bullish figure in the paint, but it isn’t easy stopping both Williamson and Barrett in their direct drives to the basket. In the earlier meeting, Diakite had four personal fouls, Salt two, and Hunter three. Informed about Brey’s statement about Duke’s unique collection of talent, Bennett didn’t disagree. Without Jones in the previous showdown, Duke coach Mike Krzyzewski elected to essentially go with a taller lineup, which gave the Devils a size advantage at almost every position. 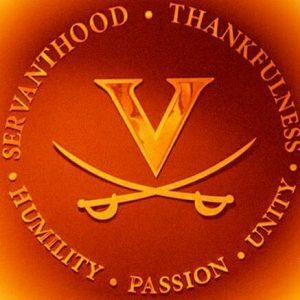 UVA’s players said after the game that the size difference didn’t bother them, and field-goal percentage bore that out as the Cavaliers shot 53 percent for the game (58 percent in the first half), although their 3-point shooting was off the mark (17.6 percent), and that very well could have cost them the game. UVA’s top long-distance shooters, Kyle Guy and Ty Jerome, combined to go 3 for 12 from beyond the arc in Durham, and no one even knows what Jerome’s status is for Saturday’s game. He tweaked his back at NC State on Jan. 29, missed the Feb. 2 home game against Miami with the injury. There have been rumors of all sorts flying about Jerome but no official word from Virginia about whether he will play or not in what could be a game-time decision. Guy was particularly off from the arc against the Blue Devils. While he connected on 6 of his 12 overall field goal attempts, he was 2 for 7 from 3-point range. UVA took a couple of days off earlier in the week in an attempt to refresh.